The audience prepares for the Issues & Ale event to begin. 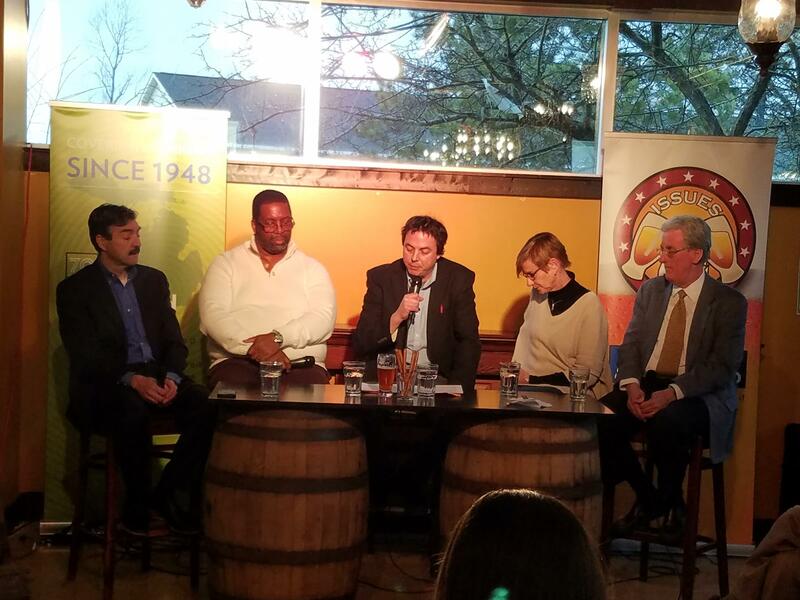 Listen above to hear the panel discuss why the mental health system in Michigan, and across the country, remains “frustrating” for so many, what resources are available now for individuals and families, and what gives panelists hope that the system will improve into the future. To learn more about the state of mental health in Michigan, check out Stateside's ongoing Minding Michigan series.